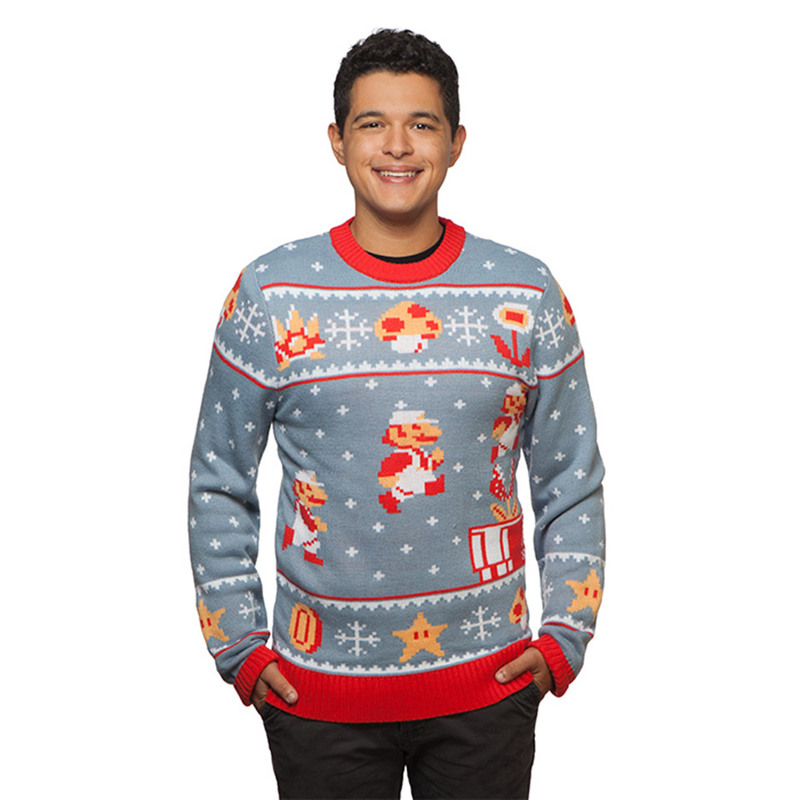 Who said ugly sweaters had to be ugly? This year, why not celebrate the holiday season with some of your favorite Nintendo characters? With these festive Mario and Zelda sweaters, you’ll be ready to enter the world of classic 8-bit gaming just by getting dressed in the morning. The first officially-licensed design features images of Mario jumping over a warp pipe with a piranha plant sticking out of it. Instead of sugar plums, visions of gold coins, 1up mushrooms, and power stars will dance in your head. It’s done up in a festive pale blue, red, and peach color scheme, and will look great paired with a pair of jeans. 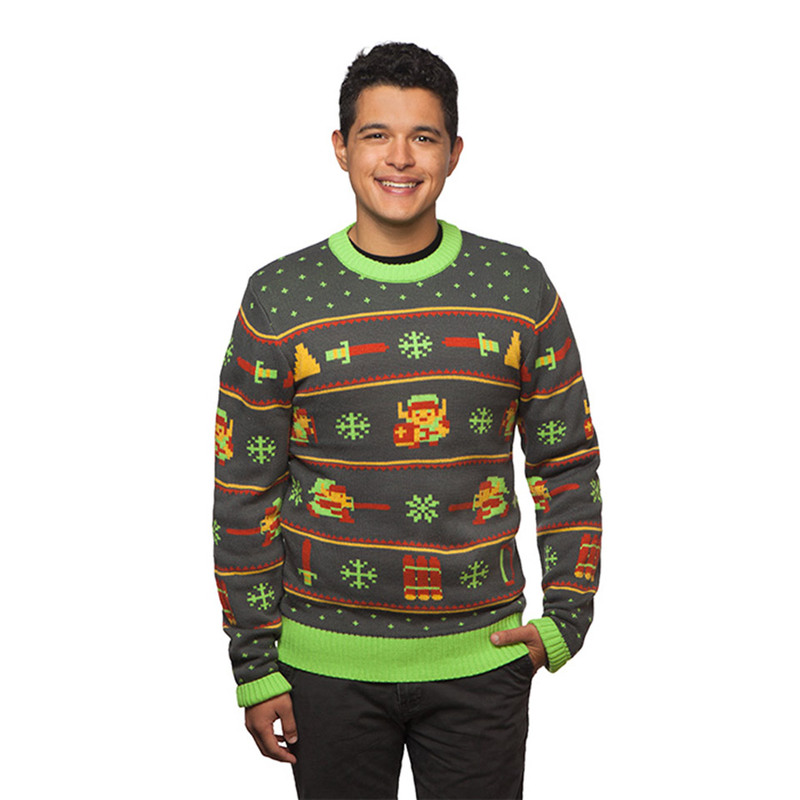 The Legend of Zelda sweater features our green-tuniced, pointy-hatted hero Link, as he sets off on a journey to find power, courage, and wisdom in the land of Hyrule. Its decorated with images of a wooden sword, Triforce bits, and some 8-bit snowflakes to put you in the holiday spirit. Both sweaters are made from 100% acrylic and are machine washable in cold water. They’re available over at ThinkGeek now for $49.99 each.